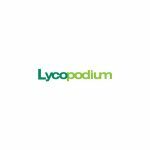 Lycopodium Minerals is a leading engineering and project delivery group that has developed major minerals processing greenfield projects and brownfield expansions in Australia, Asia, Africa, and Europe. Operating for over 26 years, we employ over 650 staff across eight subsidiaries with offices in Perth, Brisbane, Melbourne, Sydney, Newcastle, Manila, Accra, Cape Town and Toronto. Due to the Company’s involvement in a number of new projects and studies, we are currently recruiting for a Senior Mechanical Designer to join our Brisbane based drafting team. Producing design drawings using Microstation 3D. Lycopodium has a strong company culture focusing on career progression and technical skill development. You can expect to be involved in a wide range of large projects whilst working amongst a team of highly skilled professionals. Applications are open to all Australian citizens and permanent residents, and New Zealand citizens. We encourage and promote diversity and inclusion, and welcome applications from all backgrounds regardless of gender, age, disability and ethnicity including Aboriginal and Torres Strait Islanders.